This gesture-based wearable mouse could be the way you deal with a crowded desktop in the near future. 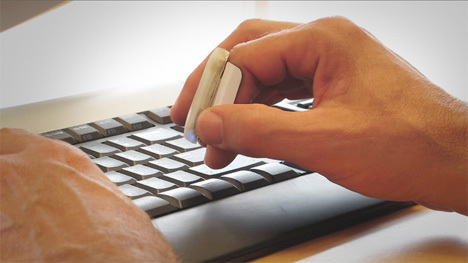 It doesn’t require any horizontal space on which to operate because it fits over a finger and is used in mid-air to control a computer via hand gestures. The Mycestro, created by Nick Mastandrea, uses Bluetooth 4.0 Low Energy Protocol and can go up to eight hours on a single charge via the USB battery charger. It has a range of 30 feet and can be used to make computer interactions more intuitive. 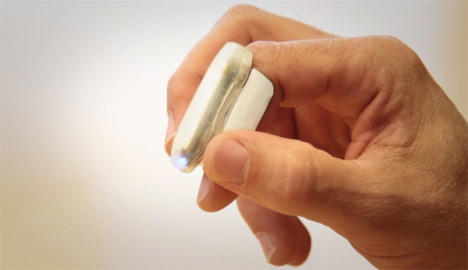 While wearing the Mycestro, you activate the cursor by touching your thumb to the side of the device. As long as your thumb is on the touch-sensitive panel, the cursor will respond to your movements. Lightly tap on the touch-sensitive panel and the tap will have the same effect as the click of a mouse button. The Mycestro began as a Kickstarter project but easily sailed past its funding goal early on in the campaign. For $79-$89 the mouse that you wave around on your finger will soon be available to everyone.